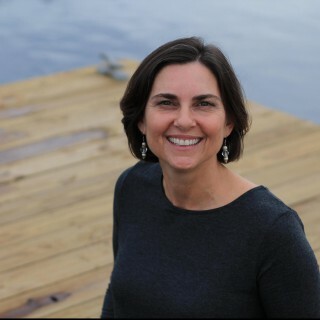 It’s the last day of the Write 31 Days Challenge! My plan was to end with a dessert since it’s the last course. I bought the strawberries and lemon needed for the recipe but we had a Halloween party today and somehow the strawberries were discovered and eaten. So I’ll go ahead and share the recipe but I will not have accompanying photos or videos to go with it. If you follow me on Instagram I’ll share it the next time I make it. We like them so I make them often enough. But trust me. It’s GOOD. It has wine in it. What’s not to like? Thank you for reading along with me on this month-long journey! If you missed any of the posts, you can find them all listed here with a handy pinnable graphic so you can find them all again. I’m so happy to be able to say I made it all 31 days! There were times I wasn’t so sure! It sure will be good to blog about things other than food now. One thing I learned during this challenge is I’m glad I don’t blog on just one thing. I don’t have a niche and I like it this way. I have too many other interests I want to share about! Just for fun, here are some pictures from my daughter’s Halloween party. We had fun decorating and preparing Pinterest we found on Pinterest, and best of all, I think the kids had a good time. The bite-sized bat treats were pretty easy to make. I liked the pretzel rod ghosts. We didn’t do the ones with a mouth like these. Ours were more like the mummy but without the wrappings. The pumpkin rice krispie treats came out really well too. My daughter did these and the ghosts all on her own! Isn’t she talented? We also made caramel apple pretzel bites. I liked the combo of sweet and salty! The candy corn bunting came out so cute! 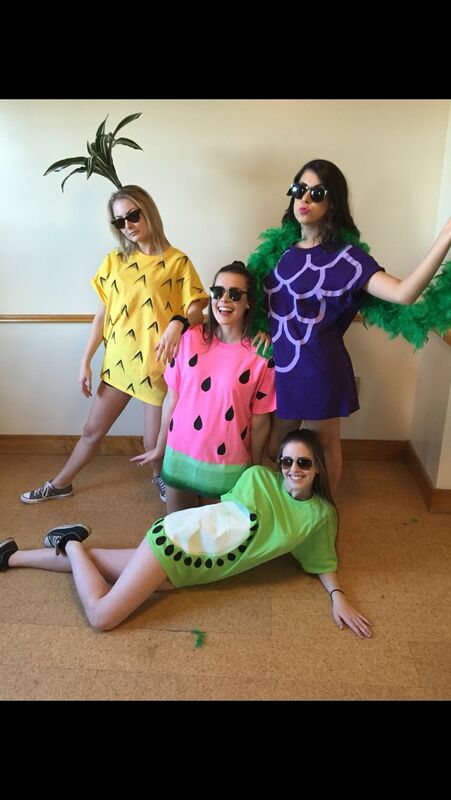 And I love the fruit costumes the girls came up with. They copied this pin, down to the pose. How cute are they? We had a very happy Halloween! Hooray, Sheila! You DID it!!! I’m really proud of you! Thanks for teaching me so much about Italian cooking! I’m looking forward to trying more of the recipes soon. And great job on the Halloween treats and decorations! Very clever, A! Circling back, if I like sangria, will I like this recipe? Ummm…YES! If you like strawberries you will LOVE this recipe!